The requirement to file a Report of Foreign Bank and Financial Accounts (FBAR) is an obligation held by US persons with certain foreign financial accounts. Violations of FBAR rules can arise through a variety of actions and even through an individual’s inaction. An American expatriate or a US person living in China, the UK, Israel or any other foreign jurisdiction can be subject to this disclosure law. The individual may not be aware of the obligation and he or she is unlikely to learn about it due to their foreign residency and isolation from American culture and news. Other people may simply not take close notice of the balances in their accounts and they may permanently or momentarily exceed the reporting threshold due to savings, interest or dividends. However if that person does not realize that they have an FBAR disclosure obligation until after the filing deadline, they are likely subject to, at minimum, a penalty for a non-willful failure to file FBAR. For individuals who have still failed to disclose their foreign accounts, the risk of detection has never been greater. International information sharing agreements, other disclosure laws like FATCA, and the IRS’ improved information processing abilities all contribute to the risk. If you fail to take corrective action prior to coming under investigation, a less favorable result and a possible a prison sentence can follow. Many Long Beach-area residents have heard of the FBAR in the context of offshore account tax crackdowns, but many do not fully understand the extent and obligations that are required of those who need to file an FBAR. In brief, FBAR obligations spring the Bank Secrecy Act. US persons – which can include citizens, legal permanent residents, and others – must disclose foreign financial accounts in which they hold an interest in or signature authority over. In general, once the aggregate balance in the account or accounts exceed $10,000 the individual must disclose the existence of the account to the US government by filing FinCEN Form 114. This form can only be completed by going online and logging into FinCEN’s e-filing portal. There is no longer an option to file the FBAR via traditional paper documents. What are the Potential Penalties of FBAR Non-Compliance? FBAR non-compliance can result in a variety of consequences. The costs of FBAR noncompliance begin with the anxiety and uncertainty over the costs and punishments you could face. However, the consequences are significantly more severe if the investigating agent believes that conduct is willful. Willful actions occur when an individual intentionally or voluntarily disregards a known legal obligation. The IRS interprets what constitutes willfulness more broadly than one might expect. For instance, one’s intentional failure to learn about a legal obligation constitutes willful blindness which the courts have equated with willfulness. The penalty for a willful FBAR violation can be imposed at the greater of 50 percent of the account balance or $100,000. Fines for willful FBAR violations may exceed the balance of the foreign account. Furthermore, there is always the chance that the investigating agent could refer the matter for a criminal investigation, and prosecution. If the violation is believed to be non-willful the penalty faced is still serious though it is significantly less severe than the willful penalty. However the penalty is still harsh considering that it include a mistake as simple as forgetting to file. Similarly those who are unaware that the United States considers them to be a citizen, common among those with American parents but who have not lived in the US at any point, may not realize that they are in violation of FBAR. They could face a fine of $10,000 for each act of nondisclosure. 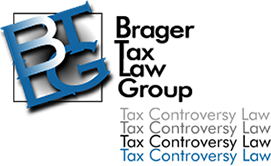 The tax professionals of the Brager Tax Law Group are dedicated to analyzing and providing solutions to complex tax and FBAR problems. Begin to put a rest to your worry and anxiety by discussing your concerns with a knowledgeable and experienced tax professional. To schedule an initial FBAR consultation, contact our firm by call 800-380-TAX-LITIGATOR or contact us online.